Many organizations have shifted toward more “open plan” offices and are investing rapidly to maximize office real estate by embracing modern technologies in their flex-use and standard meeting rooms. With the new affordability of video conferencing technology, many organizations are integrating video connectivity into every sized meeting room around the office. 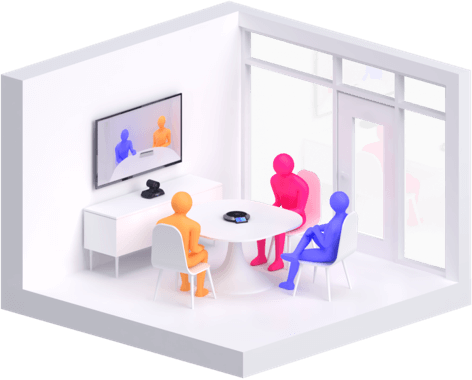 Mini rooms are among the fastest-growing meeting spaces today as businesses add inexpensive video conferencing solutions to their existing phone rooms and quiet rooms in search of a better return on these underutilized spaces. Mini rooms are the perfect place for one or two people to work together on a project or meet with an extended team over video. Video Requirements: Look for a solution with a wide-angle field of view that is compact to fit the small space. 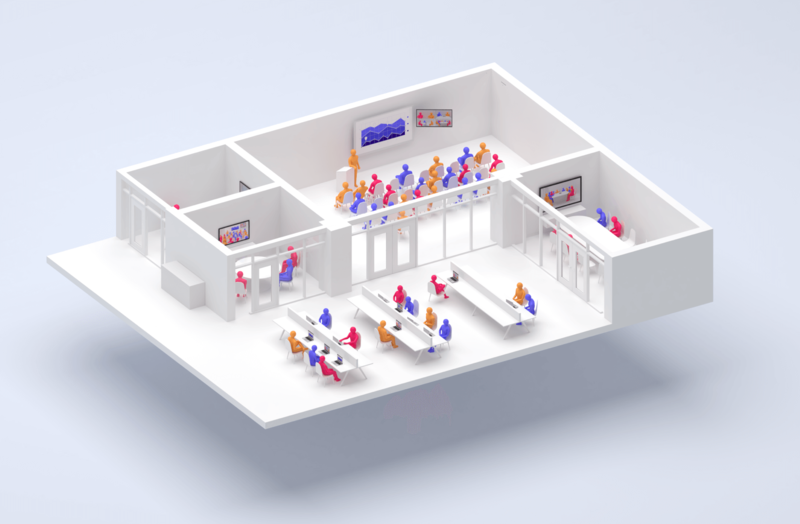 Affordability and scalability are key components for organizations that will deploy five to ten mini rooms for every one full-sized conference room. Small spaces and huddle rooms are designed for smaller teams and subteams to meet for real-time collaboration. Add a smart video conferencing system, and you have a smart room for teams of up to six people to congregate for an unparalleled real-time meeting experience. Video Requirements: Ease of use is critical for spontaneous collaboration in small meeting rooms. Look for a video solution with a small form factor and plug-and-play installation. Prioritize a wide-angle lens over zoom capabilities for small spaces. Your typical conference rooms and boardrooms are ideal for larger groups to meet and build relationships through regular, face-to-face business conversations. Seating can range from as few as 6 to upwards of 30 people. Conference rooms generally require reservations to ensure availability. 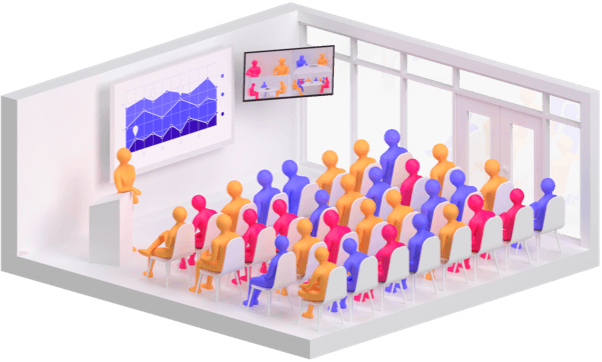 Video Requirements: The increased size of the conference room adds a requirement for dual-screen setups that let you view video participants on one screen while sharing a presentation on the other. Larger rooms may also require more microphone pickups in addition to high definition cameras with optical zoom. Large meeting spaces like auditoriums, classrooms and all-hands multipurpose rooms are the largest forms of meeting rooms. Rather than a conference table, a typical layout will have seating positioned toward a dedicated podium or stage. 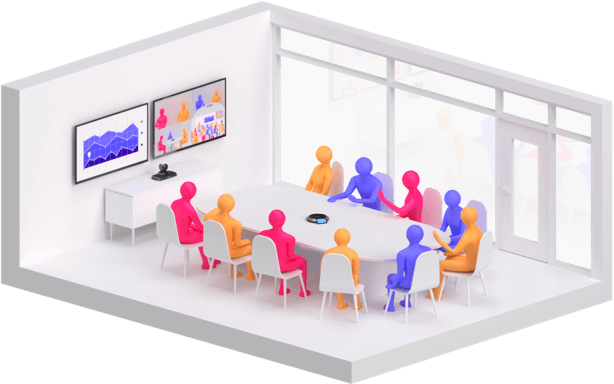 Video Requirements: Deploying a video solution that is rack-mountable and includes multiple device inputs and outputs — from cameras and laptops to DVRs and microphones — are key elements to look for in a video conferencing solution for the large all-hands room. Integration with panel manufacturers and third-party, integrated audio solutions may also be beneficial. We understand that a one-dimensional solution could never be the right fit for all of the different places you meet. See which video conferencing systems are right for your meeting spaces. 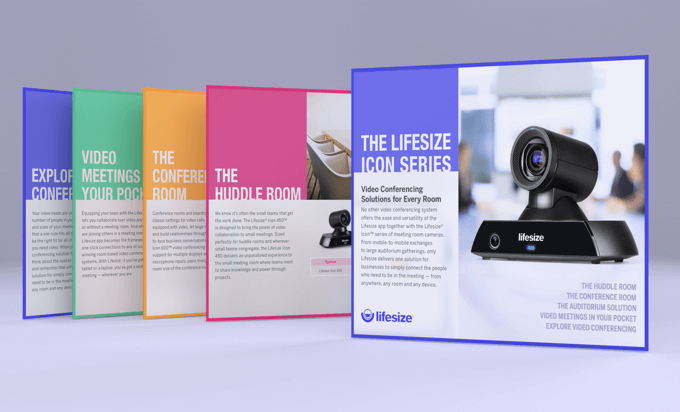 Download the Lifesize meeting room video solution guide.